surroundings in Meri-Pori, western Finland. A mystical pseudonym “Shametear” makes a contract with the Satakunta Guild of Ninjas in order to assassinate Rauni. Rauni easily survives the assassination attempt and wants to find out who’s hiding behind the name Shametear. This is the beginning of the bloody and absurd road movie in Meri-Pori’s samurai reality. 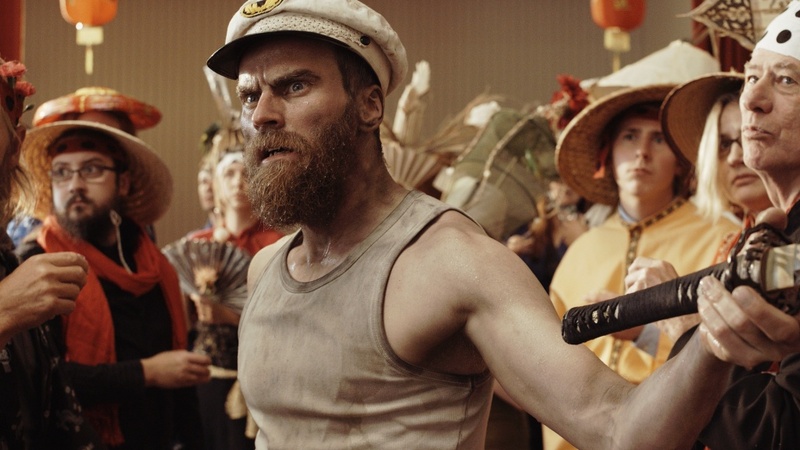 Following the footsteps of Alejandro Jodorowsky and Emir Kusturica, Samurai Rauni is a surreal and visually beautiful tragicomedy that open-mindedly combines Finnish and Japanese culture with beautiful northern nature. The movie has been produced by Moderni Kanuuna team consisting of people from various backgrounds in music, visual arts, literature, theatre and cinema. Samurai Rauni is the first feature film by Moderni Kanuuna.